This is the smallest commission I have ever been asked to do. It’s 2.1/2″ x3.1/2″ , now winging it’s way to the States. 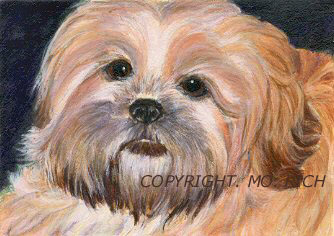 I was so surprised to be contacted by one of my customers asking me to paint her little Shih-tzu dog Patches. 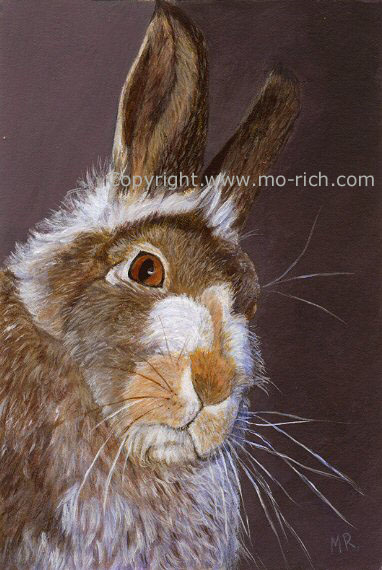 I’ve no other new paintings to share just now, hoping to spend the weekend painting some new cards for eBay. Some fabulous and exciting news to share though, my daughter Helen has been chosen along with seven other artists to be presented with her work to Prince Charles the Prince of Wales when he visits Newport next Wednesday the 15th November, WOW!! What an honour! Helen’s bouncing and so am I!! Hello, and welcome to my new blog. Here is where I will keep you updated on my current work, also work in progress and other news, starting off with a new piece called an OSWOA which stands for ~ Original small Works of Art. 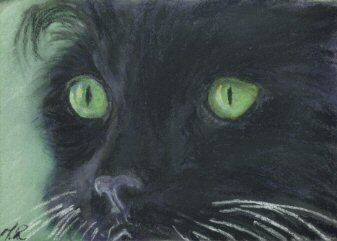 A new group has been started in Ebay for artists painting in this small size 4″ x 6″ , it’s a step up from the smaller ACEO’s which are only 2.1/2″ x 3.1/2″, which means of course that although still small a lot more painting and detail can be shown. 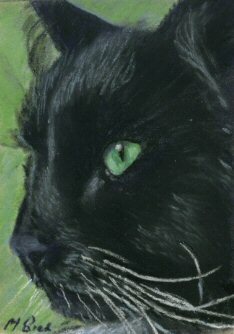 I hope that this new format will be as successful as the ACEO’s, I think it will. This is a Scottish Mountain Hare, undergoing a change from his Summer Coat to Winter, when he will eventally be all white giving him good camouflage against the snowy hills of the highlands.